November was a disappointing month, I didn't do a lot and I certainly didn't read a lot. This post is going to be a short one. I went to the Mockingjay premiere in London! It was incredible. It was so exciting to be surrounded by that many people who were fans of the books/movies and who were all there to catch a glimpse of the stars. I didn't get to meet any of the cast (I did get to see them drive in) but I got a few snaps with some pretty cool YouTubers. I got to go to the X Factor studios and watch a live elimination, It was weird because the studio is so much smaller than it looks on TV. Definitely ruined the idea that it was a huge, scary ordeal in front of thousands of people. We stood outside in the rain and cold and wind for about 4 hours. It was a great night though. I SAW MOCKINGJAY PART ONE!!!!!!! SO GOOD!!!! SO MANY FEELS AND OH MY GOD THE ACTING WAS AMAZING. JOSH HUTCHERSON, ALL THE AWARDS GO TO YOU. 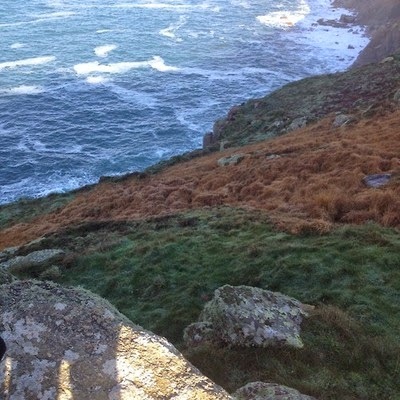 I went to Cornwall this past weekend and it was beautiful. 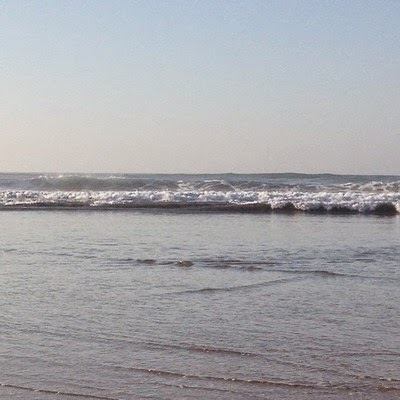 My dad and I spend a lot of time by the beach and you can be assured that I took plenty of snaps of the sea. Stood on top of a rock at Lands End to get this picture. 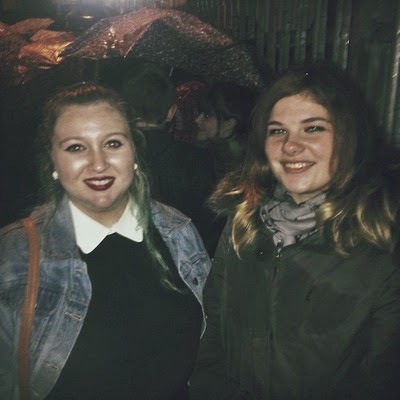 It was the two month anniversary of me and my friend seeing one of my fave bands ever (The 1975) and I'M SO UPSET. 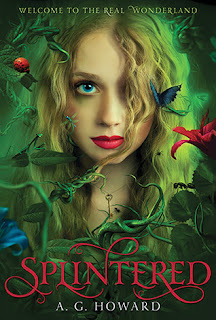 Splintered by A.G. Howard: I found it a bit slow to start off with and there was one character that infuriated me but overall I enjoyed it. Full review here (X). 3/5 stars. Remembrance by Theresa Breslin: Wonderful read. It really gives perspective to all of those who we don't really think would be affected by World War One or those who we don't consider the 'brave' ones. Beautiful writing. 4/5 stars. Dare You To by Katie McGarry: I was hoping to enjoy it a bit more than I did but it was still a solid, enjoyable read. I would definitely recommend it for those fans of New Adult/Young Adult. Full review here (X). 3/5 stars. My True Love Gave to Me edited by Stephanie Perkins: I LOVED this book. It was such a fun, quick read and although the stories were short I still felt like I got to know the characters and it was such a testament to how brilliant the authors are. Not all of the stories are centered around Christmas but rather the festivities of the Christmas season and it was beautiful. Loved it 10x more than Let It Snow. 5/5 stars. I'm pretty sure that the ONLY thing I've been listening to all month is still Taylor Swift's album. I know 1D released theirs and I know I should listen to it but I don't think I'm ready to let go of 1989 yet. Sorry, Harry. I started Melissa and Joey and now I'm addicted. For some reason I haven't finished it yet but since my laptop broke it's been hard to get onto Netflix. I watched the first episode of Scandal and haven't watched an episode since (I think it was a few days into November) it was great though and I really want to continue. Maybe after everything in my life has settled down. Mockingjay, again. It was beautifully done. NATALIE. I FREAKING HATE YOU FOR MEETING CASPAR AND JOE. But mostly Caspar. GRRR. I WISH I LIVED IN LONDON!!!! YOU ALL LOOK SO SCHMANCY. AND CORNWALL LOOKS FABULOUS AND BEAUTIFUL. And then I almost thought you ALSO went to the 1975 concert and I was going to go ballistic because SUCH AWESOME. But it's ok. I'm better now. But I really, really hope they're coming to Canada soon! hahahaha I love this comment!!!!! 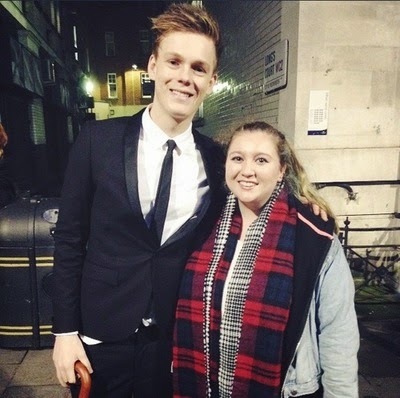 Caspar was so sweet and he smelt really nice. Gah, I LOVE The 1975 and I've recently been listening to their new song Medicine a lot. And you saw them live eeep! Oh my, I'm dying to watch Mockingjay: Part 1. I really, really want to love it. Who'd have thought that X Factor studio would be so small. It does take the scary out of it, though. I also couldn't read all that much in November but hope we get to remedy that this month! Mockingjay: Part 1 was amazing!! I think the only critique i've heard is that they didn't like Katniss because she was too 'whiny' or that it was too 'Part 1-ish'. J. Hutch was amazing - his scenes literally took my breath away.